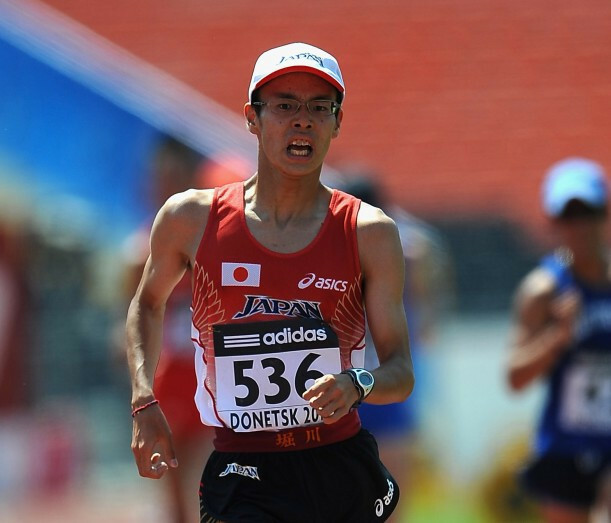 Japan’s Toshikazu Yamanishi is favourite to win the 14th Asian 20km Race Walking Championships tomorrow, but he may not be able to win the overall race in which this competition sits - the third leg of this season’s International Association of Athletics Federation’s Race Walking Challenge. Such is the quality of Yamanashi’s compatriots entered for the open race in Nomi City - a modern city in the Ishikawa prefecture on Honshu - rather than the Asian contest that he cannot be overly confident of victory, despite his excellent recent form. China, meanwhile, look ready to earn a sixth straight Asian title on the women’s side through 20-year-old Ma Zhenxia, who set a personal best of 1 hour 29min 28sec last September and has reportedly been working hard at her Italian training base under the guidance of the hugely experienced Sandro Damilano. The main rival for the Asian title for Yamanishi, who stands third in the world 20km race walk rankings and has a personal best 1:17:41,would appear to be China’s Gao Yingchao, who has a timing of 1:20:31 from last year. In the actual Asian Championships, there is an eclectic mix of countries that include South Korea, India, Malaysia, Singapore, Vietnam, Hong Kong, Thailand - and even puts Iraq and Iran on the same start line. But the performances at last month’s Japanese Championships in Kobe, where a time of 1:18.10 was only enough to earn Yamanishi third place, indicate what he is up against overall. Koki Ikeda won those Japanese Championships in 1:18.01 and currently tops the IAAF world rankings for 20km. But, despite the fact that he stepped off the road after just 5km in Kobe, Daisuke Matsunaga could have the talent and form to win tomorrow. Also in the field will be Hirooki Arai, currently second in the 50km world rankings, but who finished fifth in Kobe in 1:19:00. Ma’s biggest challenge in the women’s open race looks like coming from 18-year-old Australian Katie Hayward, who clocked 1:29:25 on her 20km debut to finish second at the first IAAF Race Walking Challenge race last month, beating compatriot and Commonwealth Games champion Jemima Montag. Montag’s involvement tomorrow, and that of New Zealand’s Commonwealth silver medallist Alana Barber, makes it clear that the women’s race will be as competitive as the men’s.